We don’t just need more light, we need LED lighting that’s energy-efficient, sustainable and connected to enable cities to benefit from data-driven insights. WE live in a world that requires smarter cities, more efficient buildings and innovative retail experiences, requirements driven by a rising population, a drain on energy resources and the accelerating adoption of increasingly innovative technology. Ten billion people will inhabit our planet by 2050, two thirds of them in cities. We don’t just need more light, we need LED lighting that’s energy-efficient, sustainable and connected to enable cities to benefit from data-driven insights, become more liveable and resilient. The impact of improved lighting on sustainability is significant. Lighting currently accounts for 15 percent of the world’s electricity but with the relatively simple, universal switch to LEDs, lighting’s share of power consumption would fall to just eight percent. Here at Philips Lighting we have a history of setting ambitious targets and one of our latest calls to action is for all cities to adopt 100 percent LED street lighting by 2025. Today there are approximately 300 million streetlights across the world but only about one in 10 are high-efficiency LEDs, and just two percent are connected. Combining high-efficiency lighting with connectivity and smart sensors can deliver energy savings of up to 80 percent — which would make a significant positive impact to achieve global climate change targets. 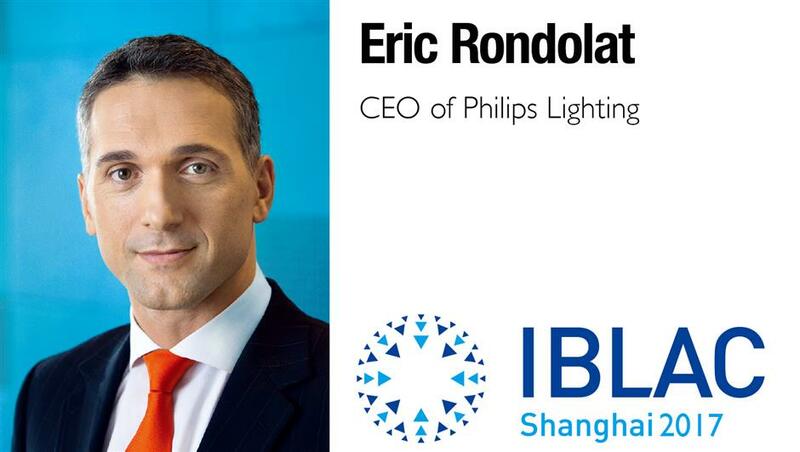 At Philips Lighting, we have been introducing connected lighting across all of our major customer segments, like CityTouch for street lighting, InterAct Office for buildings, VLC for retail, and Hue for the home. These connected systems allow us to gather data from IoT devices and share information about themselves, about the environment in which they are used and the people that use them. It is clear that people nowadays are expecting a richer, more interactive relationship with the city in which they live. As part of one of Philips Lighting’s largest street lighting projects, the city of Los Angeles converted all of its streetlights to connected LED lighting. The results included a 63 percent energy savings in the first year alone. As part of this, acoustic sensors were installed on light poles to enable the detection of gunshots in high crime areas. This can be instantly connected with the 911 alarm service and a police car can be dispatched more quickly. Lighting can have social impacts too. There are numerous situations in which human behavior may escalate — people lose self-control, become aggressive, and cross behavioral boundaries they would normally not cross. Such situations may occur in crowded outdoor environments such as public events, or in pubs and bars, as well as in small-scale indoor settings like service help desks. Light has the potential to help intervention experts defuse escalation through the use of interactive light scenarios. Philips Lighting is part of a research project in the Netherlands called “De-escalate” which is trialling the benefits of light in these situations, including in Eindhoven’s inner city entertainment area “Stratumseind,” with the results showing real promise. In the office environment, integrated sensors provide rich data with many uses. For example, in the EDGE building in Amsterdam, it not only allows employees to personalize the lighting and temperature at their workspaces using a smartphone app, but it also provides building managers with real time data for applications like smart workspaces and space management. The lighting system uses 750 Power-over-Ethernet (PoE) switches to connect lighting fixtures to the building’s IT network. The integrated sensors capture anonymous data on room occupancy and temperature, and data is then used to precisely deliver lighting, heating, cooling and cleaning resources with maximum energy efficiency. Light levels, heating, cooling and cleaning are reduced in low-occupancy areas to save time, money and energy. In the retail space, lighting is actively improving sales and customer experience. Indoor positioning using visible light communication (VLC) allows shoppers and store staff to receive directions to products or to receive location-based notifications. It allows retailers to engage customers in a more meaningful way, and to use location data analytics to measure marketing impact and assess store operations. Carrefour installed a connected lighting system with a VLC-based indoor positioning system when it renovated its hypermarket in the Euralille mall in Lille — one of the top 10 shopping malls in Europe — in 2015. The system allows customers to find products on promotion throughout the store using a specially designed smartphone app and the integrated and connected LED lanterns provide the cost savings and energy efficiencies Carrefour required. Lastly, in the home, connected lighting can increase comfort and security, improve wellbeing and transform everyday lighting into an extraordinary experience. For example, Philips Hue lighting offers infinite possibilities for playing with colours, syncing lights to music, TV and games for immersive effects. When integrated with IFTTT, (an online programming tool) users can turn on Applets that trigger their lights to change color when specific actions occur — for example reminding a user to bring an umbrella by turning their lights blue when rain is forecast, flashing their team’s colors when they score, or turning the lights on every day at sunset to help with home security. This is further amplified by integration with other IoT devices like Nest smoke detectors and thermostats, and with voice control systems like Amazon Alexa, Google Home, and Apple’s Siri.